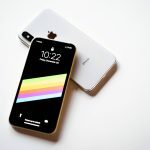 Earlier this month, we shared the top iOS devices to test on in 2019, and this week we’re following up with the top devices on our radar for Android app testing in the new year. 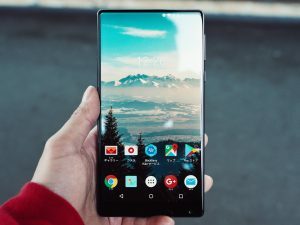 And though the Android operating system launched in 2008 (one year after iOS), there are hundreds of Android smartphone manufacturers and even more devices that utilize the Android mobile OS. That being the case, it’s just as — if not more — important to test the usability, functionality, accessibility (and more) of your mobile application on Android devices. 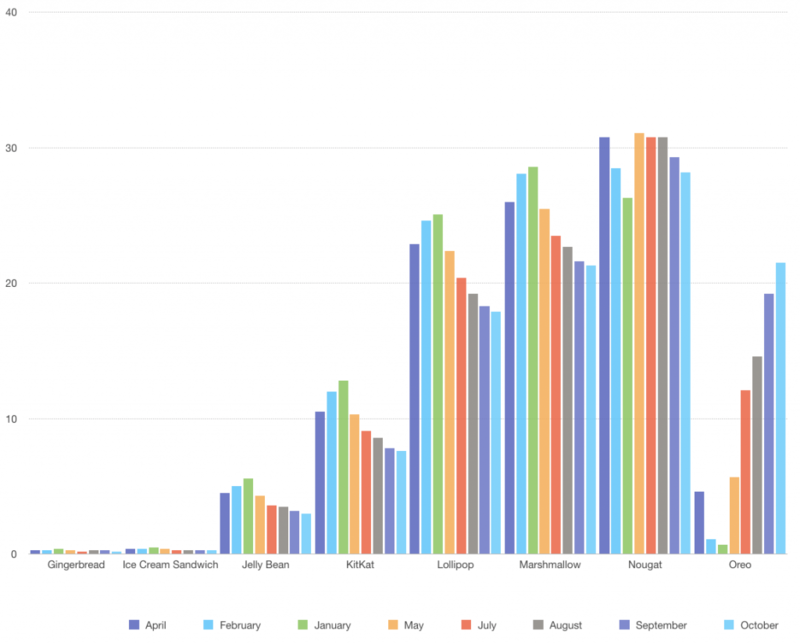 That’s why we track Android mobile OS statistics every month (or as often as they’re released by Google; the data was most recently updated in late October 2018), and it’s why we review the most popular Android devices at the beginning of every year. 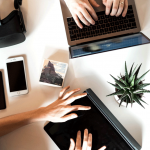 By paying attention to the most widely used (and highly anticipated) mobile devices and operating systems, we’re able to tailor our clients’ testing strategies, and focus on the devices that best align with their audience’s preferences. While Google hasn’t released statistics on the Android OS since late October of last year, Nougat seemed to hold steady as the most popular OS version of 2018, beating out its two successors: Oreo and Pie. Android Pie, which was released in August 2018, never seemed to make a dent in the data (though stats from November and December 2018 could prove otherwise) — Google never released statistics about the latest OS version, meaning it didn’t crack 0.1% distribution. Last year, we shared more about the different considerations for determining the top devices to test on (Android or otherwise), including: tracking OS version analytics, supporting different screen sizes, focusing on both new releases and popular legacy devices, and more. These are still important tactics that we take into consideration with every client project. 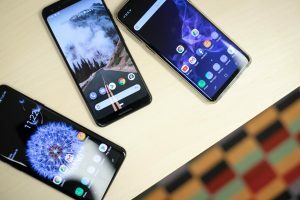 While Samsung’s Galaxy series of phones consistently tops the charts — at PLUS QA, we test on every version from S6 to S9 — according to data from DeviceExplorer, the Galaxy S8 and S8 Plus devices were ranked first and second in popularity in 2018, with 5.14% of the American market share collectively. The Galaxy Note 8 was ranked third in the US last year, with 1.94% of the American market share. This year, keep your eye (and your testing efforts) on its high-end successor, the Galaxy Note 9, which falls into the ultra-premium category, but also offers a number of popular features including a larger screen, wireless charging, an S Pen stylus, and more. The Samsung Galaxy A5 is a more affordable — and just as popular! — version of the devices in the Galaxy S series. Though the device is nearly two years old, it’s still widely praised for its performance and durability. While the Google Pixel 2 is one of the most popular Android devices, the Pixel 3 takes it to the next level, often getting top reviews from critics for its speed, consistent security and software updates, and of course . . . that camera. The Pixel 3 is also often ahead of the game in other ways: It was one of the first devices to run Android’s latest OS, Android Pie. Just last week, Samsung announced their Galaxy Unpacked 2019 event on February 20, where it is widely rumored that they will launch the highly-anticipated Galaxy S10 (and a new smartphone with a foldable screen). 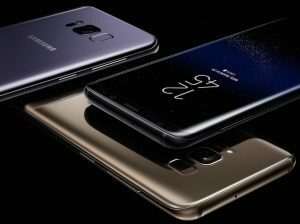 There’s not much confirmed info about this tenth edition of the flagship phone yet, but if the popularity of the Galaxy S8 series is any indication, it would be smart to keep any eye on this latest addition. Xiaomi is one of the more popular Android device manufacturers, having sold over 100 million devices in just 10 months in 2018. Their Redmi Note 4 device is a popular option for Android users in India and Indonesia. This low-cost option from Google was first released in 2016, but continues to be a fan favorite — likely because of its high-resolution AMOLED display, solid stereo speakers, and affordability. 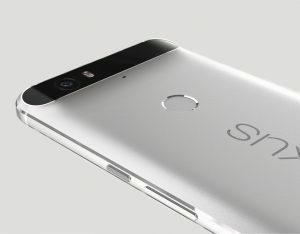 It’s the last device in the Nexus line, but still popular with smartphone users in Ireland. As the name suggests, the Huawei P8 Lite is the budget version of the P8 and P8 Max — and with an impressive Snapdragon 615 processor and 2GB RAM, it’s little surprise that the P8 Lite is a popular option for Android users. In 2018, the device topped the charts in 10 countries, including Colombia, Italy, Portugal, Spain, and more. While the phones listed above may be the most popular options amongst Android users, there are many more devices to choose from. At PLUS QA, we test on these and hundreds of additional Android devices. Reach out to learn more about the Android devices in our Device Library, and how we can best support you in testing the right devices for your app and audience!